You can make your own Pee-Proof Fitted Sheet for your Toddler Bed with this easy tutorial. 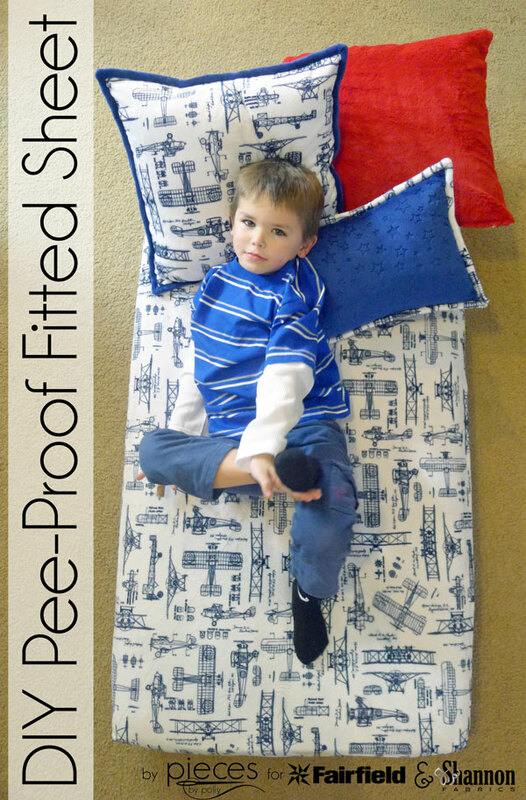 We're done with potty training around here except for the occasional night-time accident, so I thought we'd celebrate with making our little guys a super soft sheet that will also protect his mattress. 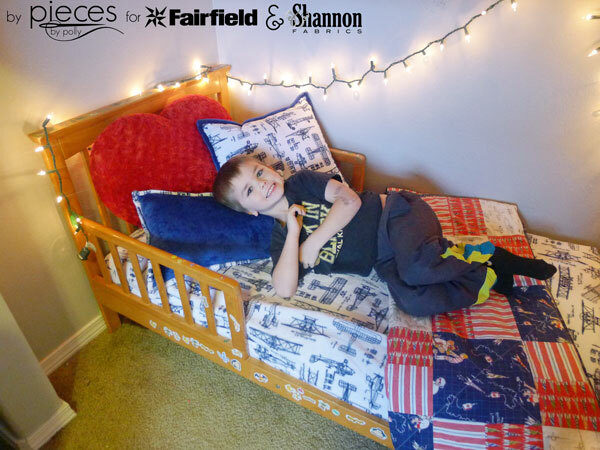 I've teamed up with Fairfield World and Shannon Fabrics to bring you this project. This post contains affiliate links. 1 1/2 yards Cuddle Fabric. 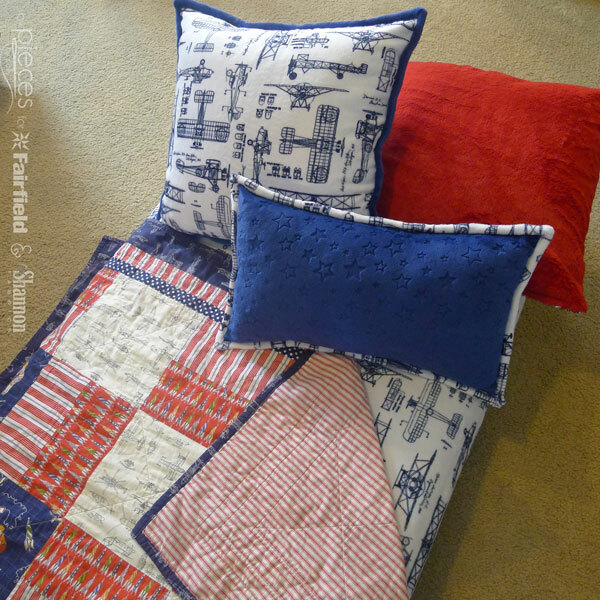 I chose Robert Kaufman Aeroplanes Cuddle® Navy to match the quilt I made him a couple years ago. You can go here to find my tutorial for the DIY Pee-Proof Fitted Sheet on the Fairfield World Site. 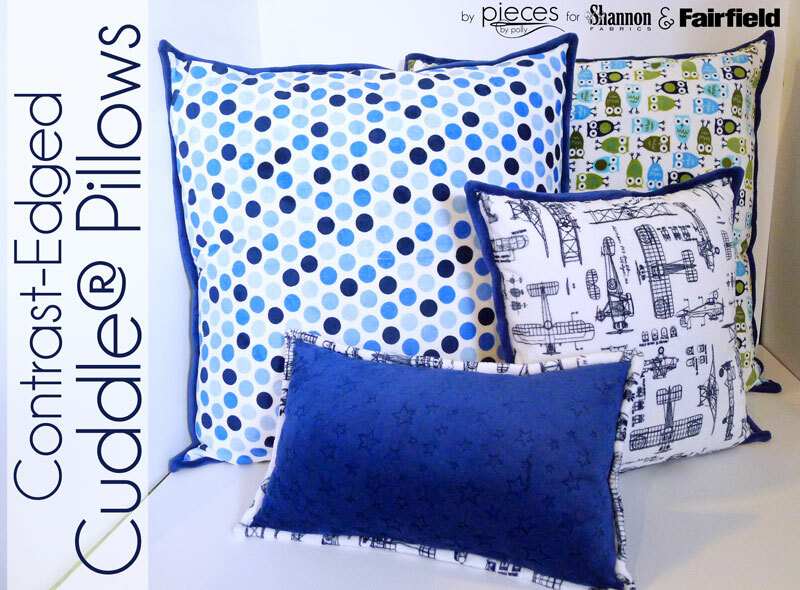 Like the contrast-edged pillows? 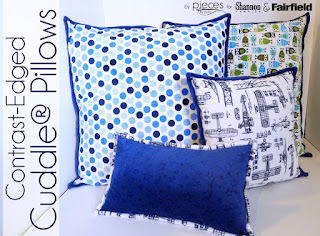 You can find my tutorial for those here on the Shannon Fabrics site. 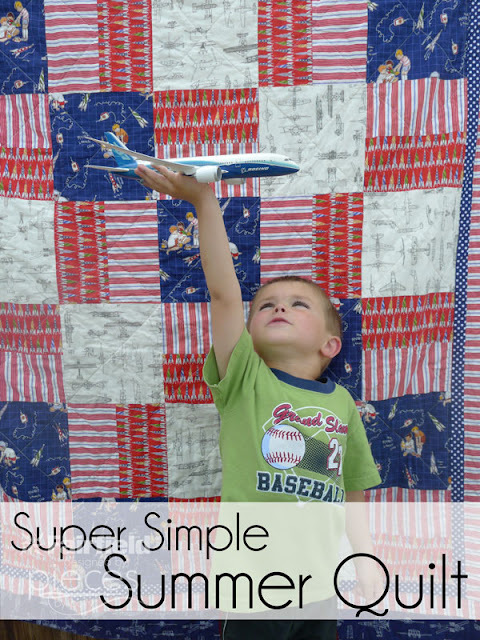 Get the pattern for the coordinating Super Simple Summer Quilt here.